The game is played by using the small end of a Mason’s hammer, and taking turns hammering a 3” nail into a stump. The stump is usually a soft hardwood, such as Cottonwood, Poplar or Yellow Pine. The top of the hammer has to be level to the stump before the player makes his or her swing. Once they take their turn, they then pass the hammer to their right until all the nails are hammered into the stump with no head showing. The reward: As myth has it, the first person to completely hammer his or her nail into the stump with no head showing is rewarded with a shot of German spirit (or anything that you have handy), and the last person to nail his or her nail is responsible for buying a round of drinks for all of the participants. Variations: The person with hammer cannot talk. If they talk, they must drink and lose their turn. You’ll find this variation is fun and easier to play the longer the game goes on…. 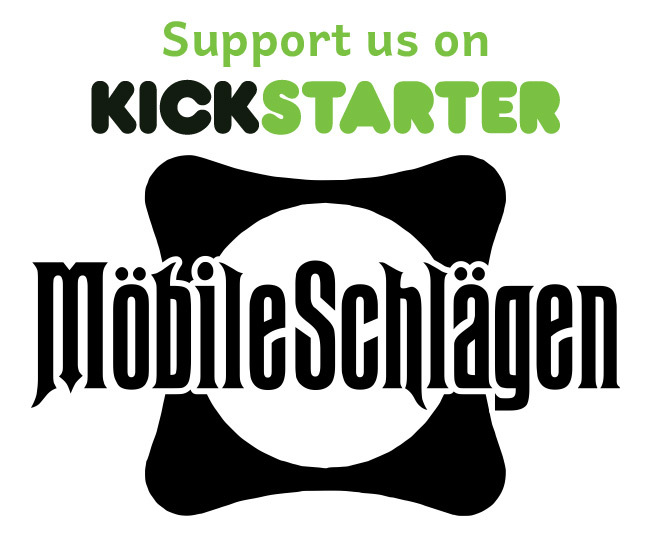 We also encourage people to make up their own variations and share them with us at rules@mobileschlagen.com.